Mic-Chek presents his latest single "Can't Get Enough" featuring Rey Fonder. 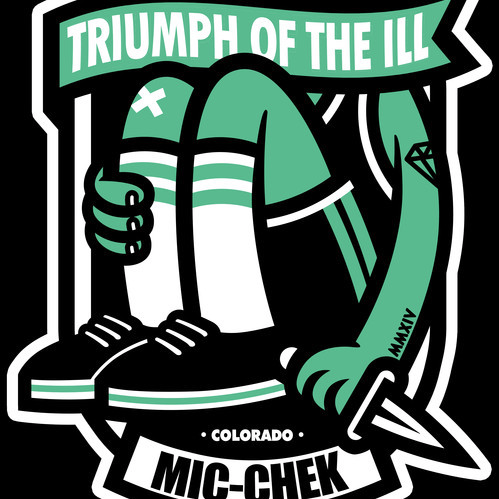 Hip-hop producer and lyricist Mic-Chek out of Colorado did well to team up with Rey Fonder from Miami, FL for "Can't Get Enough." This track is an exciting fusion of hip-hop and modern soul and R&B. Rey Fonder's vocals on the chorus create a club-ready hook for this track elevating it to a catchy and pop-worthy composition. The beat is tight and down-tempo with a nice balance of rap verses and soulful choruses. As a young producer, Mic-Chek clearly has lots of potential to capitalize on as he continues to grow and develop his musical style. His taste in collaborations are clearly on point. Check out more tracks for Mic-Chek on his SoundCloud at https://soundcloud.com/mic-chek and listen to the single yourself below.